English FA are close to signed a 3 year deal with Emirates for the naming rights of English FA Cup which will become Emirates FA Cup after the deal is secured. It will come as a surprise to traditional english football fans because the history and tradition of FA Cup is at the risk. 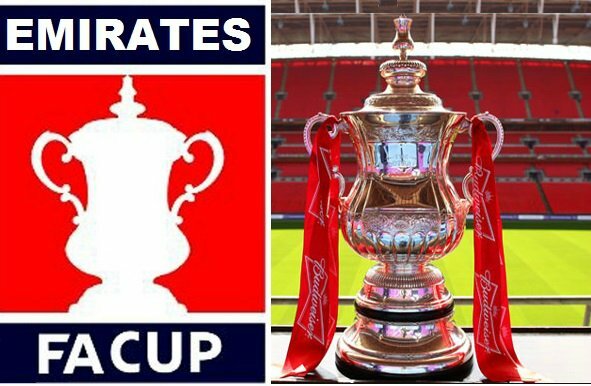 Before FA Cup had the title sponsors or main sponsors for the competition but never sold the naming rights, this will be the first time in history that the name will be changed to Emirates FA Cup. The last main sponsor was the beer company Budwiser and that contract ran out at the end of 203-14 season and FA Cup did not had any main sponsor last year. Which is pretty embarassing for a big competition like FA Cup. A new marketing team was hired and they persuaded Emirates to get the competition naming rights. The new deal is set to be announced at the end of this week and here are the details of the proposed 3 year contract. Sponsorships: So the deal will bring £10 million a year for the competitions naming right and English FA has already signed 3 main sponsorship deals with companies like Budweiser, Nike and William Hill and they are confident to secure another three which will add another £20 million a year from sponsorship deals. English FA are looking to reach atleast £30 million a year by the year 2018 after unlocking full potential of sponsorship from the competition. The deal is set to be signed and revealed on thursday this week.